This item has been replaced by the T31484. 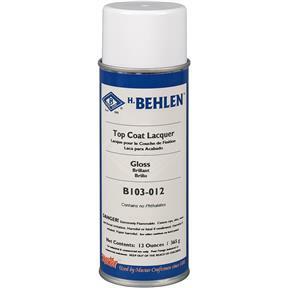 Behlen Master Top Coat Lacquer is an alcohol and water resistant, high solid nitrocellulose lacquer. 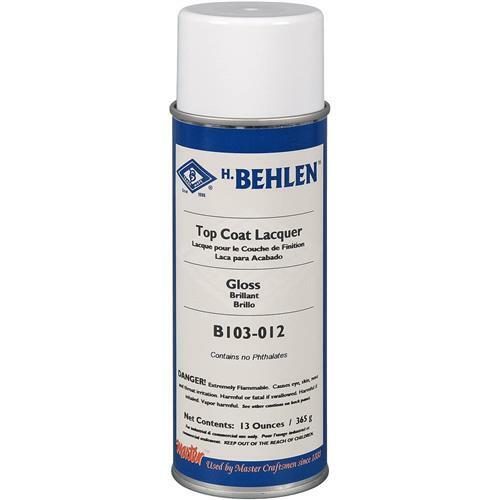 Use to seal and protect Behlen solvent based stains and other Master Aerosols. Master Topcoat Lacquer and Sanding Sealer perform like a spray gun applied finish. 13 fl. oz. This is a great lacquer topcoat. Very easy to apply!